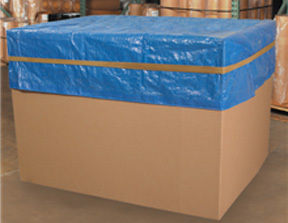 Use our re-useable giant rubber bands to secure drums, pallet covers, tarps and more. Idea for bundling of products and boxes. 1" x 34" giant band is ideal for bundling. 3/4" x 72" Giant rubber bands for pallets. Fits pallets 36-40 X 48"
3/4" x 84 Giant rubber bands for pallets. Ideal for 36-40 X 48" PALLETS . 1-3/4" x 84 HEAVY DUTY Giant rubber bands for pallets. Fits pallets 48 X 48"
3/4" x 92 iant rubber bands for pallets. Ideal for48 X 48" PALLETS .